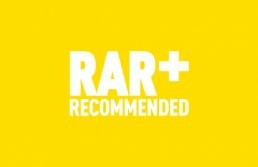 We are thrilled to announce that our work has been recognised and recommended enough for us to be included within the Drum RAR recommended agency list. RAR has been created to help business owners, marketeers and startups choose a reliable and consistent agency. It allows companies to search the RAR database to help make better decisions about an agency, making sure they are getting a superior service. In order for agencies to qualify for RAR recommendation, you must be recommended independently each year by your clients for the services you provide. Having built solid relationships with our clients over the years, we are delighted they continue to recommend us and the range of services we provide from web design to design for print – we’re always on the lookout for new recommendations, so will be requesting that clients give honest feedback to RAR whenever they work with us. There are a number of aspects which clients are asked to rate including; creativity, effectiveness, time keeping and strategic thinking. Having been highly rated, we would like to say a big thank you to our clients who have yet again taken time out of their busy schedules to recommended us and help us to obtain our respected RAR status. We believe we are building a fantastic team and consistently add value to our clients through the services we provide, so it’s great to hear that they feel the same.